Thanksgiving is the reason I keep avoiding starting a diet this time of year! I can make it through Halloween easily, but between our Friendsgiving Parties and Thanksgiving, FORGET ABOUT IT!!!! Even on Thanksgiving, we do a late BIG lunch and then for dinner, it’s left overs! I HATE left overs, but there is just something about Thanksgiving food!!!! Below I have my favorite side dishes!! I’m letting you know now that these are not all of my photos or my recipes! EXCEPT FOR THE CREAM CHEESE CORN && CREAM CHEESE CELERY! THOSE ARE FAMILY RECIPES!!! We loveeeee Cream Cheese as you can see!! 😉 The OTHER recipes have links to the original owner and I’m also sharing them on my pinterest!! (Click the Dish Name or the photo to go to recipe) P.S. I’m all about easy!! Like just a few ingredients && easy steps!! So that’s what you’ll find here!! I’m getting hungry just writing this!!! Put in a pan all together and mix until melted and warm!! It’s the most delicious dish!! You’ll thank me for this!! Random mixture BUT IT WORKS!!! 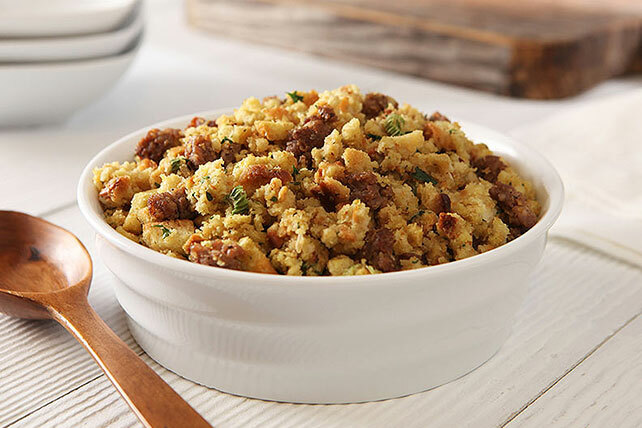 Stuffing – I found this recipe on KraftHeinz, I don’t get anythinggg for telling you about this! They don’t even know I’m sharing their recipe!! I was in charge of bringing Stuffing last Thanksgiving, first thanksgiving with a baby!!! AKA I wasn’t going to make some crazy stuffing plate!! I tried this StoveTop package out, and let. me. tell. you. NO ONE KNEW!!!! They raved about how amazing the stuffing was!! lol This is a Meat Lovers Stuffing! 4 ingredients ONLY!!! 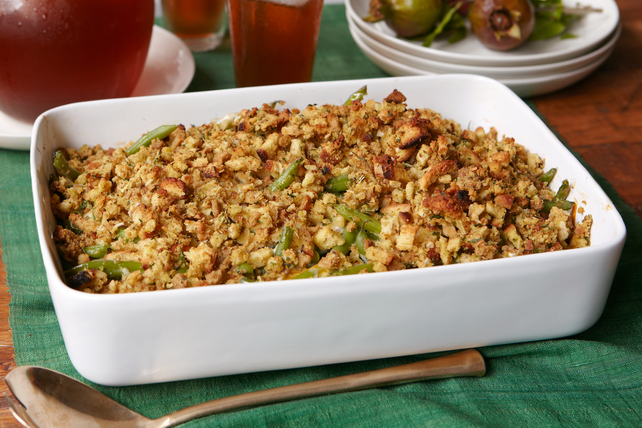 Green Bean Casserole – My dad is in charge of this one each year, but since we are on the Kraft Page, I saw this recipe to share with you!! This is AHHHHmazing too!! Mix the cream cheese and pecans together. 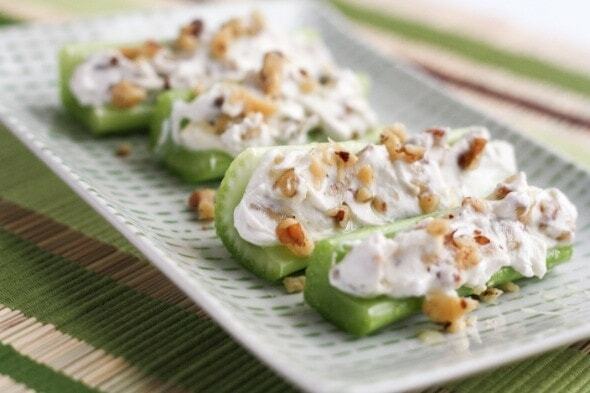 Then stuff the celery with the cream cheese mixture. DONE!! 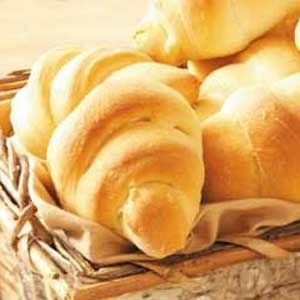 Rolls – Again, I get nothing for this! BUT oh my goodness, they are so amazing, make it simple and just enjoy!!! Crescent Rolls by Pillsbury!!! I want one nowwww!! 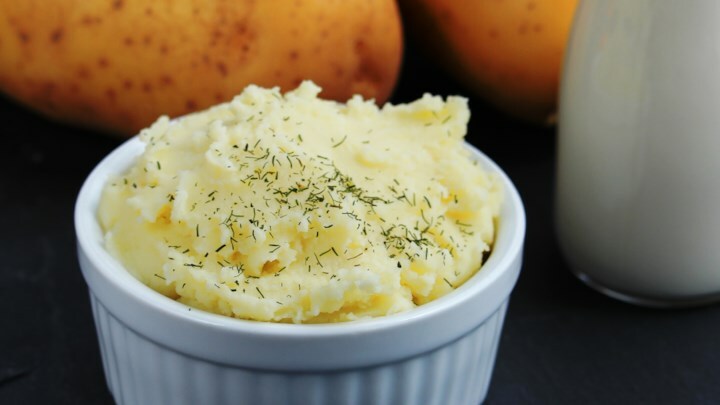 Mashed Potatoes – Here is a SUPER easy recipe!! Who doesn’t love Mashed Potatoes?! I want to try this!!!! Sparkling Cranberry Punch!!! 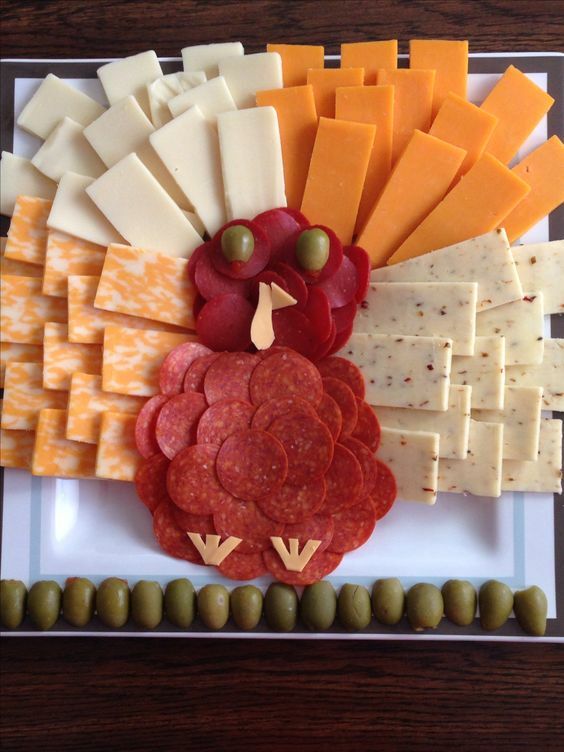 Here are some fun Thanksgiving Themed Food Ideas too!! Cheese & Meat Tray – Just serve with crackers!! Adorable way to hold everyone over until your Thanksgiving Meal is ready!! 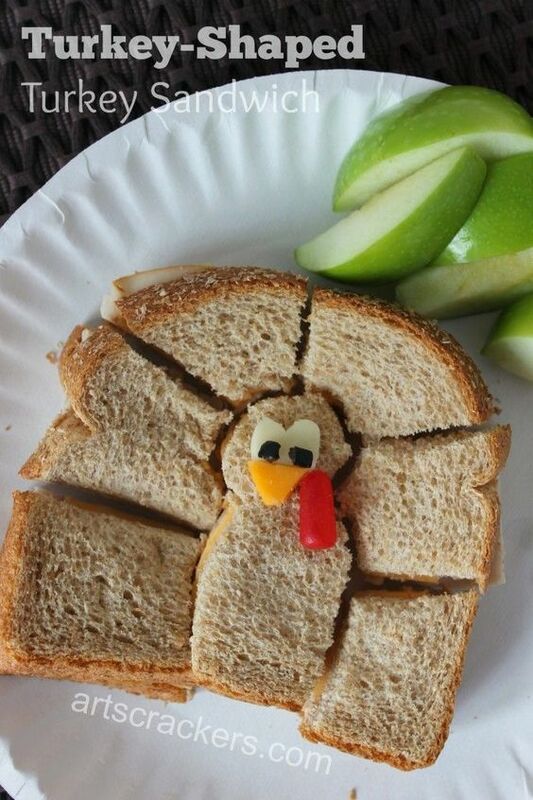 This is too fun for the kids for School Lunches the week of Thanksgiving!! The next 2 are SOOOO fun for Thanksgiving Day Breakfast!! We are about to head to our first Friendsgiving Party of the season!! YASSSS!!! Are you more of a Turkey or Ham person??? 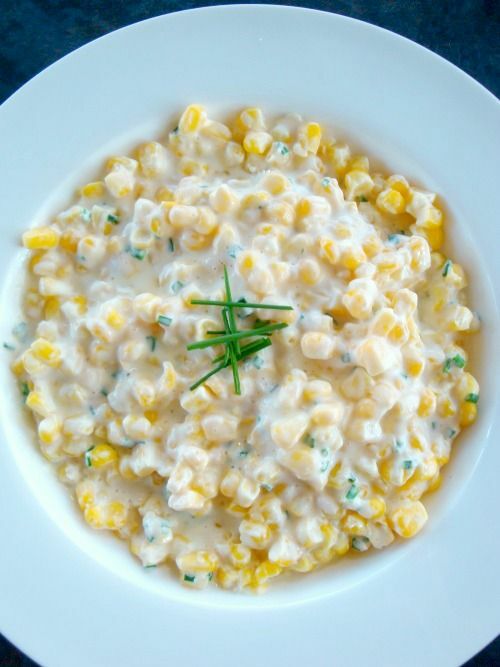 What are your favorite Side Dishes??? Want more fun to read? Check out our post about our Thanksgiving Traditions!! ALSO!! 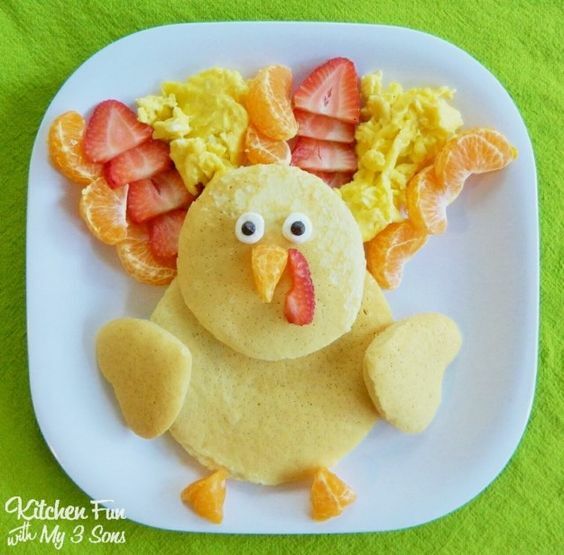 Check out our Thanksgiving Pinterest Board for lots of fun!!! Previous Post Blogtober Wrap Up!! !